Double Dutch was launched at the Paul Phillips Hall in Victoria this April. For the launch, and two weeks afterwards, work by artist Mike Andrew McLean filled the foyer of the hall – The Little Fernwood Gallery. 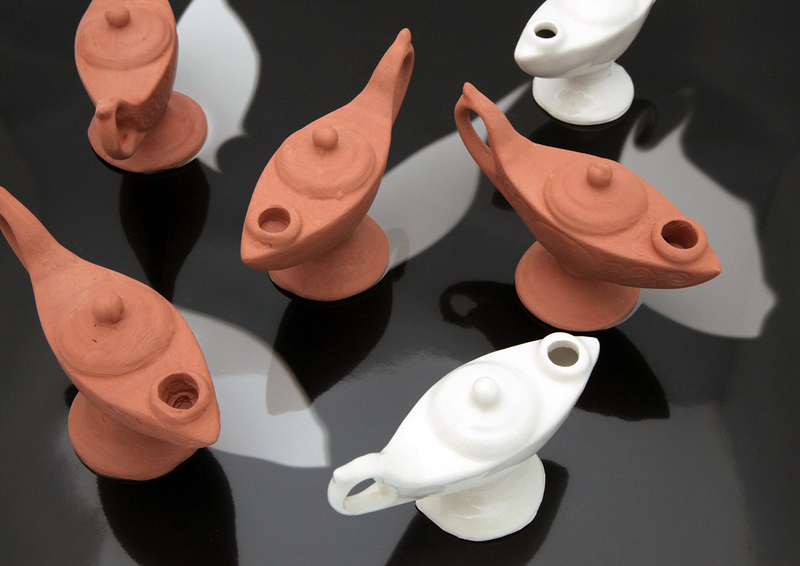 These pieces were made in response to the stories of Double Dutch. Below is some documentation of the exhibition, as well as a brief description of each work and how it relates to the story it represents. The walking bear animation originated from the story Ursus Actos Horribilis. In Ursus, a man grieves for his wife, whose body is in the ICU ward in Vancouver, but whose soul switched places with the grizzly who attacked her. 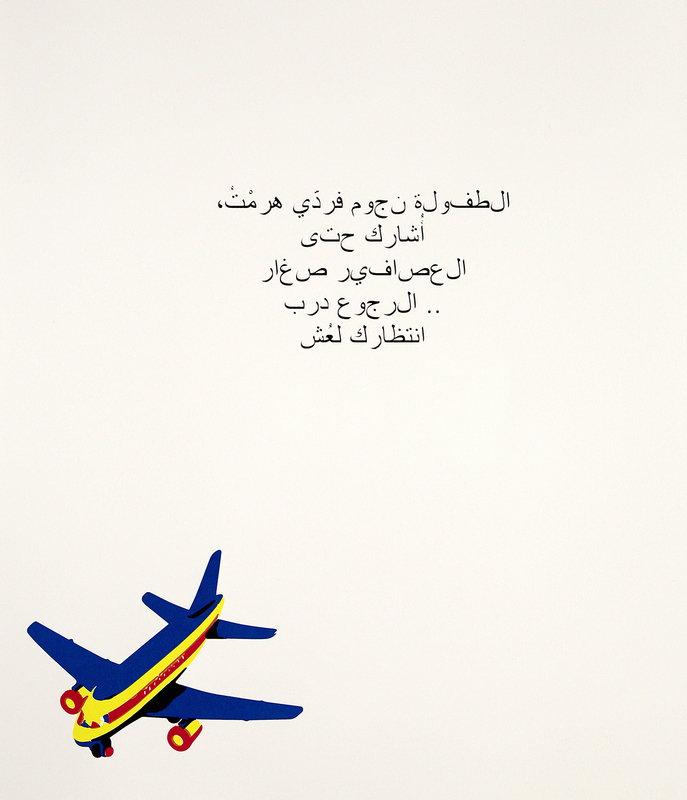 The Arabic text – a stanza of Mahmoud Darwish’s poem “To My Mother” – is integral to the story, Night Terror, in which a mother fears for her toddler after hearing him speak Arabic in his sleep. The airplane, a child’s toy, is a key image in the story. 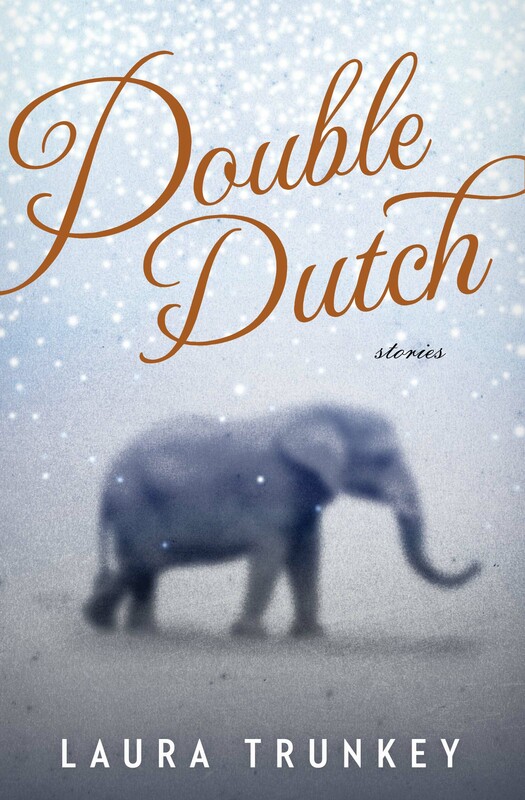 Double Dutch is about Ronald Reagan’s body double, a man who lived in the White House with the president, stood in for him during conferences and fundraisers, and fell in love with the First Lady. 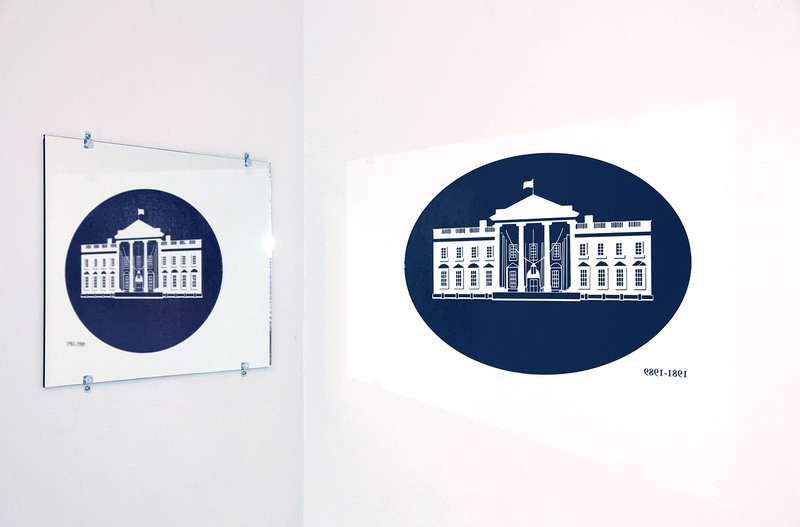 In this piece, a laterally reversed White House Logo is reflected in a mirror, revealing its duplicate. 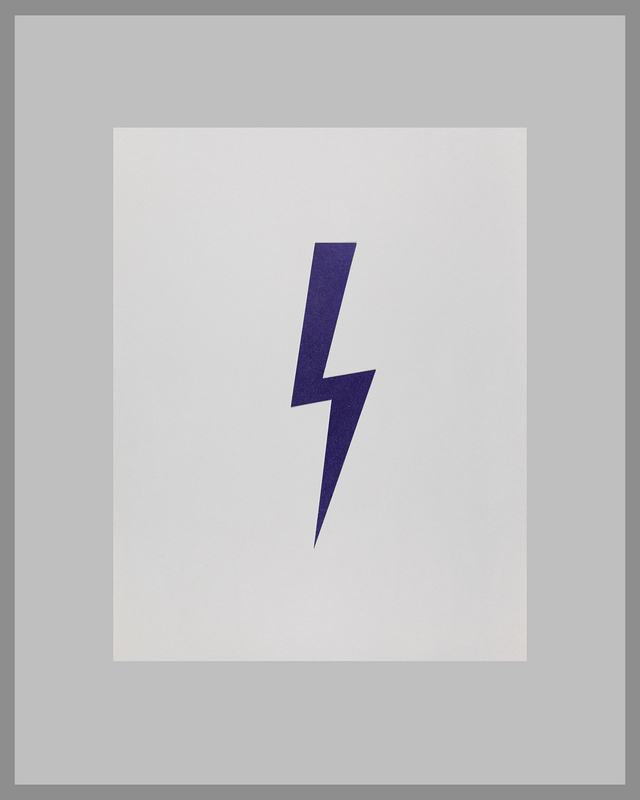 The cyanotype lightning bolt symbolizes the alternating current used to kill Topsy in Electrocuting the Elephant. This story is based on an historical event that occurred in 1903 on Coney Island. The faintly drawn 35mm slide of the rim of Niagara Falls responds to Hands Like Birds, in which a deaf 12-year-old who is in the process of going blind visits the Falls with her father. 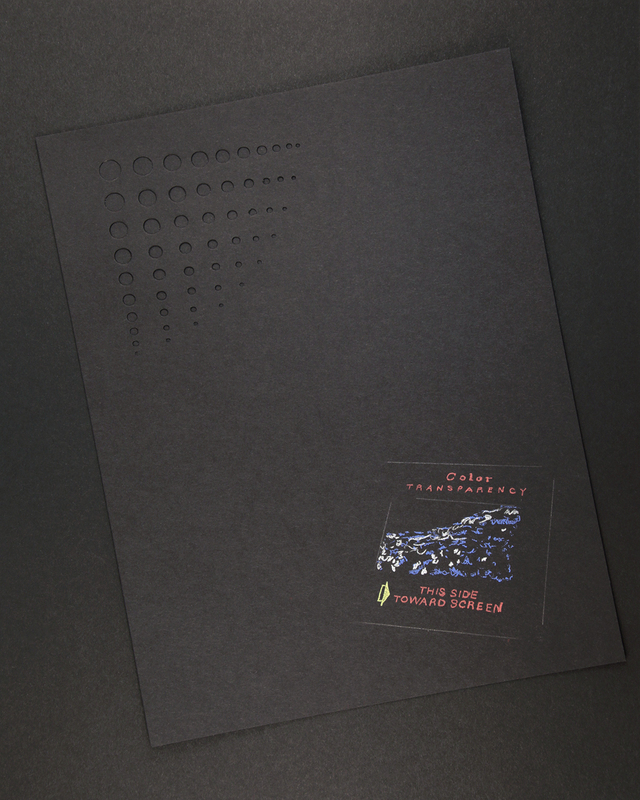 The decreasing holes punched into the top left corner of the piece represent the decreasing field of vision – a characteristic of Usher Syndrome. On Crowsnest Mountain tells the story of a pair of parents searching for the truth of their missing son while climbing Crowsnest Mountain. 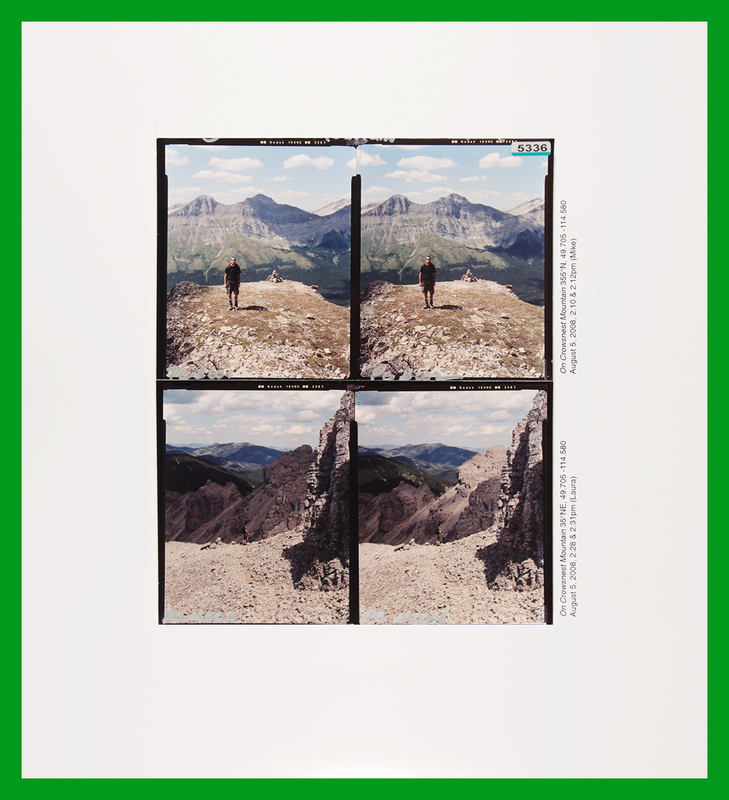 The photographs were taken during the artist and author’s climb of the same mountain in 2008, where they encountered a young goat who is a key character in the story. 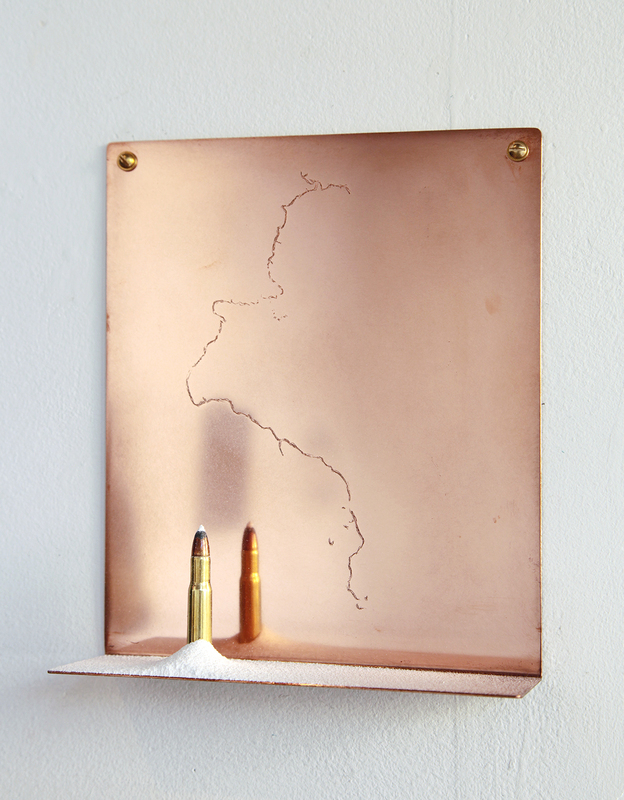 The copper shelf has been etched with a drawing of the course of the Coppermine River in Canada’s far Arctic, beside which the murder of two Catholic priests led to the first trial of Inuit men by the Canadian legal system. The bullet is from a Winchester.30-.30 and has been covered with bone ash. The six lamps on the plinth are nursing lamps, modeled after the one Florence Nightingale carried while making rounds of the wounded during the Crimean War. The Windspir Sisters Home for the Dying, tells the story of a hospice run by sextuplets, two of whom have been dead since shortly after birth. These ghost sisters are depicted by the glazed and fired porcelain lamps, the living sisters by the raw clay versions. Though Mike is primarily a photographic artist, he used a number of different mediums for the exhibition. His photo-based work can be found on his website: www.mikeandrewmclean.com. You can visit her website at www.lauratrunkey.com.